This article first appeared in The Edge Financial Daily, on November 9, 2018. 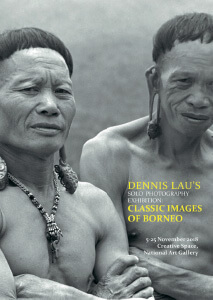 Malaysian photographer Dennis Lau has put together a solo photography exhibition showcasing 40 black and white photographs captured during extensive field trips in Sarawak and Sabah. He lived among indigenous people for over 50 years, sharing their lives and rich culture. His work is said to be unpretentious and spontaneous, and with it capturing Borneo’s priceless legacy of cultural heritage. This exhibition will be displayed from 10am to 6pm throughout the weekend at the National Art Gallery, 2, Jalan Temerloh, Titiwangsa, Kuala Lumpur. Visit www.artgallery.gov.my for more details. A story of a young man pursuing his dream of being the person he is born to be: A true original. Bill Cunningham, even though was one of the city’s most treasured figures, he was also one of its most guarded. This book is written with his unique voice and contagious happiness. This memoir of his way carefully typewritten and stored away for his whole lifetime. As per his wishes it was not shared until his passing. 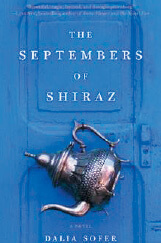 Along with his attempt to educate his readers in style, the book is his final gift to the readers. “She had no idea what to do with love, she experienced it as invasion, as the prelude to loss and pain, she really didn’t have a clue.” This is a novel about a writer who is about to get married. In the summer of 2017, Crudo frantically unfolds in real time. 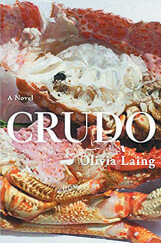 This is Olivia Laing’s first work of fiction where she ferociously yet compassionately logs her learning of love when the end of the world is near with fascism is on the rise and global warming is as prominent as ever. This book is written from the perspective of a commitment-phobic artist in her early 40s’ who may or may not be Kathy Acker. A rare gem-dealer Isaac Amin is arrested as he is wrongly accused for being a spy in the aftermath of the Iranian revolution. In fear of his disappearance, his family are brought together in the face of tragedy. Whilst Isaac navigates the horrors of prison, his wife relentlessly searches for him while suspecting their trusted housekeeper had turned on them. A book that will be difficult to put down, filled with big questions of identity, alienation and love, not just for a partner or child, but for the place we call home. 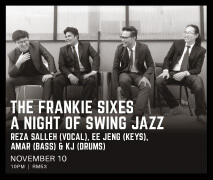 Enjoy a night of classic swing jazz tunes from the 40s’ tomorrow night at No Black Tie. The band just finished playing at The Iskandar Puteri Jazz Festival and will also be performing at Urbanscapes 2018 later this year. Singer-songwriter Reza Salleh started this band as a side project. He also won an AIM award and is a regular in the independent music scene as he has appeared in most local major musical festivals alongside his own showcase at Dewan Filharmonik Petronas. Catch the show tomorrow at 10pm at No Black Tie, 17 Jalan Mesui, off Jalan Nagasari, Kuala Lumpur. Admission fee is RM53. Call (03) 2142 3737 or visit www.noblacktie.my to learn more. Poova is a multi-award winning singer, songwriter, composer and producer. 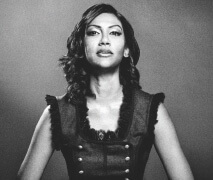 She has one of the most unique voices in the country and pursued a professional music career in 2009. She has won many awards since with nominations for best English songs and best female vocalists against talents such as Datuk Siti Nurhaliza and Shila Amzah. Poova has performed both nationally and internationally in countries such as Hong Kong, Taiwan, Macau and the UK. She is a very versatile singer with passion that can be heard in her music. Head on over, today or tomorrow at 10pm, to Alexis Bistro Ampang, Great Eastern Mall, Jalan Ampang, Kuala Lumpur. Admission fee is RM10. Call (03) 4260 2288. Join singer Samantha De Lune, accompanied by Michael Veerapen, while she tells stories through song this weekend. She has a sparkling portfolio including public appearances, private and corporate events, radio and TV commercials, short films and more. 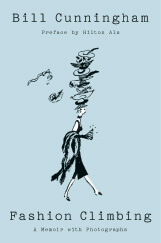 Known to have “a voice of an extremely rare earthy quality”, she has a certain poise about her which is beyond her years. Drop by today or tomorrow at 9.30pm at Bobo KL, Jalan Bangkung, Taman Bandaraya, Kuala Lumpur. Tickets are priced at RM60++ (non-diners) and RM45++ (diners). Call (03) 2092 5002. Head over to the city for a night filled with intensely wholesome music. 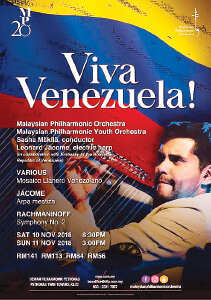 The Malaysian Philharmonic Orchestra will be conducted by Sasha Makila alongside special guest Leonard Jacome. He is a musical magician and is known to spark electricity when his fingers touch the strings of the harp. Following his successful debut in 2016, Jacome returns with another stunning performance showcasing both Venezuelan acoustic and electric harp. After the intermission, enjoy the warmth of Rachmaninoff’s fiercely romantic Second Symphony. There is a show tomorrow at 8.30pm and Sunday at 3pm. They will both be held at Dewan Filharmonik, Jalan Ampang, KLCC, Kuala Lumpur. Tickets range from RM56 to RM141. Visit www.mpo.com.my for further details. Take up the challenge of an outdoor obstacle course where you can fly, swing, glide and dangle from obstacles suspended from trees. This experience will surely pump you up with adrenaline as these parks are located in the Malaysian rainforest. For children under the age of 12, a parent must be present during all activities. 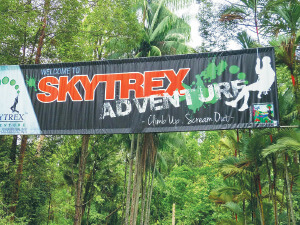 Skytrex Adventure is located in Jalan Liku 8/1, Seksyen 8, Shah Alam, Selangor and all tickets can be purchased online at www.skytrex-adventure.com. An apocalyptic themed adventure park located in a 70,000 sq ft indoor premise which include 10 main attractions and eight function rooms. District 21 offers many services such as corporate team building events, school field trips and birthday parties. This park has been recognised by the Malaysian Book of Records for the first indoor pump track, first indoor ropes course for children, first indoor high ropes course, first indoor maze and first indoor roller glider nationally. 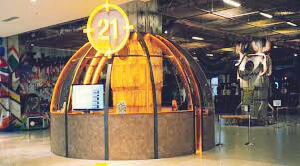 District 21 is located in IOI City Mall, Putrajaya. Contact (03) 8328 8888 for more information.